Rossella is the host of the all new online cooking show and food webisode series, Cooking with Nonna and the recent winner of the Food Network - 24 Hour Restaurant Battle - Battle Italiano. Rossella was born into a family of culinary aficionado’s and food lovers. “Growing up, something was always on the stove,” says Rossella, the first generation Italian-American from Bensonhurst, Brooklyn. Her deeply rooted heritage finds its source in Mola di Bari, a small fishing village more commonly referred to simply as Mola where her parents were born. Mola has approximately 26,000 inhabitants located south of Bari in the Southern Italian region of Apulia (Puglia). ”Cooking was never just about cooking, it was about family, community, and spending quality time with each other... and our Nonne, unlike the products that we cook with... they have No Expiration Date.” says Rossella. In fact, Rossella spent most of her childhood in the kitchen with her maternal Grandmother Romana learning the long legacy of recipes passed down through the generations for centuries. Her grandmother, who she calls Nonna, also taught her about the different regional food styles of Italy. Although she was in the kitchen before she could crawl, Rossella’s early role in the family tradition was simply that of a “taster”. I remember spending hours in the kitchen just watching my Mom, Nonna, and great aunts all cooking and talking, but I was so young they wouldn’t let me touch anything”. Not missing an opportunity to learn, Rossella begged her family to let her run errands and pick up signature ingredients for meals at the local markets in Brooklyn. It was at this time that she discovered the importance of selecting the right produce, spices, and meats for each dish. She continued her education in the summers, while spending time with her family in Mola di Bari and participating in the annual Octopus Festival - Sagra del Polpo. “Being born Italian, it’s hard to escape the cooking gene, even if you don’t know the classic techniques; you are empowered with certain tools and recipes as a child.” In addition to honing her cooking skills in Italy each summer, Rossella also realized that she was not only extremely out-going but also a natural entertainer. Inspired by her love of food, her passion for entertaining and acting, as well as her love for her family and community, Rossella Rago, in 2009, launched the Cooking with Nonna show. Cooking with Nonna features recipes passed down throughout the generations that are simple to make, delicious, and rich in their history. Rossella has been acting since the age of 10 and loves being in the kitchen with family. Rossella has been a member of the Screen Actors Guild and the American Federation of Television and Radio Artists since the age of ten. She has appeared in many films and television series, including the film The Thomas Crown Affair, Confessions of a Shopaholic and 13 Going On 30. Additionally, Rossella has participated in several Italian-American pageants, winning the titles of Miss Mola USA in 2003 and Miss Idea USA in 2005. Both the passion for her parent’s native language and her experiences in high school propelled her to choose Italian as her concentration in college. In the spring of 2009 she graduated from St. John's University with a Bachelor of Arts degree in Italian Literature. She is fluent in both Italian, and her native dialect of Mola di Bari. Rossella has also completed an intensive program at the Natural Gourmet Institute in New York. 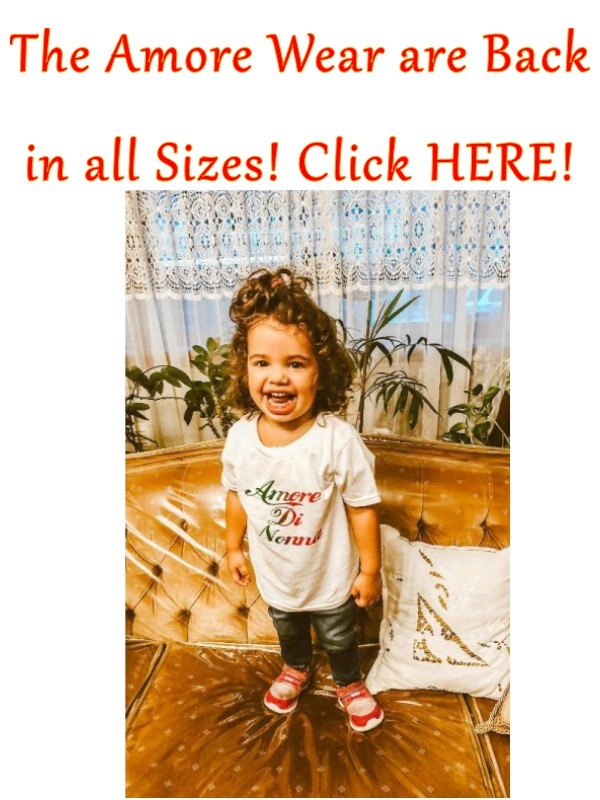 In addition to inspiring grandmothers from around the world to pass down their sacred recipes, entertaining audiences with her show, and popularizing authentic Italian cuisine, with Cooking with Nonna, Rossella plans to raise awareness and promote healthy eating habits for young women everywhere. Her goal is to be a positive role model and inspire young women worldwide. Rossella is the bestselling author of the Cooking with Nonna Cookbook, a collection of over 100 recipes from 25 Italian grandmas along with their life memories. She is currently working on her second cookbook which will be published in October 2018. Rossella is a member of the National Italian American Foundation (NIAF), where she sits on the NIAF - Italian American Youth Committee and is also a member of the Order of Sons of Italy and NOIAW.